The Taxi Firm - Stansted Airport Transfers Specialist. The Taxi Firm makes traveling to Stansted Airport stress-free, wither it be for a business or your family holidays we can get you there! As we specialise in Stansted airport transfers we consider ourselves to be the number one airport taxi company in Peterborough. 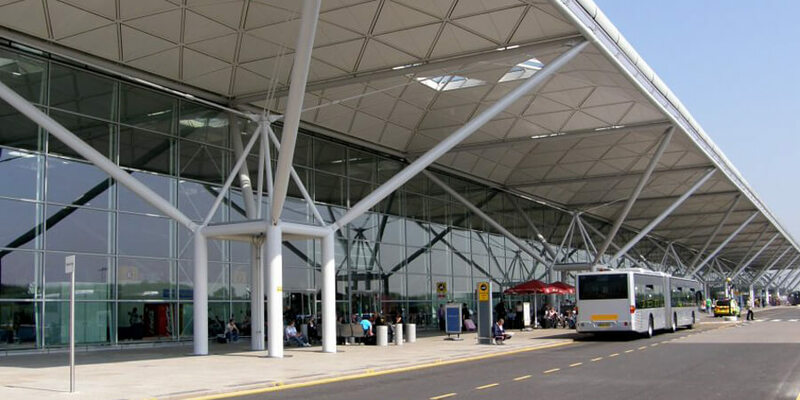 London Stansted Airport (IATA: STN, ICAO: EGSS) is an international airport located at Stansted Mountfitchet in the district of Uttlesford in Essex, Stansted Airport is 65 miles (approx) from Peterborough, the travel time would be 1 hour 25 min in moderate traffic. London Stansted currently serves over 170 destinations across Europe, North Africa, Western Asia, with more scheduled European destinations than any other airport in the UK. Stansted is a base for a number of major European low-cost carriers, being the largest base for low-cost airline Ryanair, with over 130 destinations served by the airline. In 2015 it was the fourth busiest airport in the United Kingdom after Heathrow, Gatwick, and Manchester. Stansted’s runway is also used by private companies such as the Harrods Aviation, Titan Airways and XJet terminals which are private ground handlers who are able to handle private flights, charter flights, and state visits. STN also has a transit inside which helps people to travel to their designated gates and terminals.